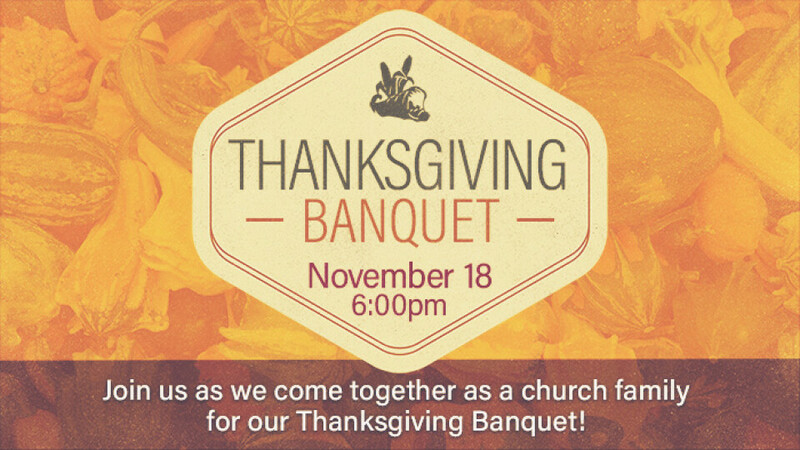 You're invited to our annual Thanksgiving Banquet in the Christian Life Center! This is always a great casual time of fellowship, reflecting on what God has done for us this past year, and of course eating some amazing homemade dishes. The church will provide the meat, bread, tea and water. We need you to bring generous portions of your favorite dishes and deserts.